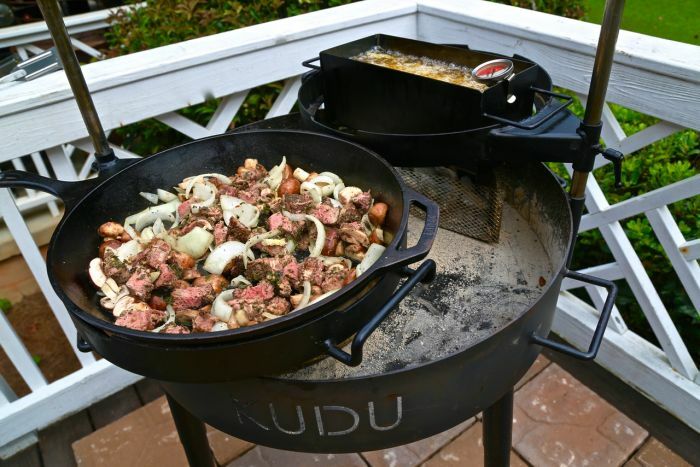 If you were ever disappointed with not serving hot meat along with perfectly crispy fries or chips altogether, you need to look at Kudu multi-leveled grill. 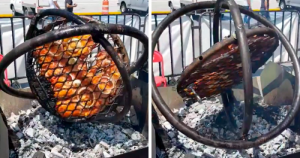 This grill allows you to prepare different foods above an open fire on its elevated grate system. 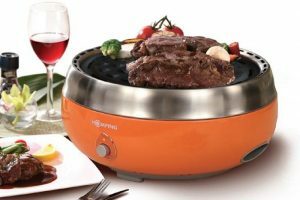 You can easily grill, sauté, smoke, steam, fry, and boil any desired food simultaneously. 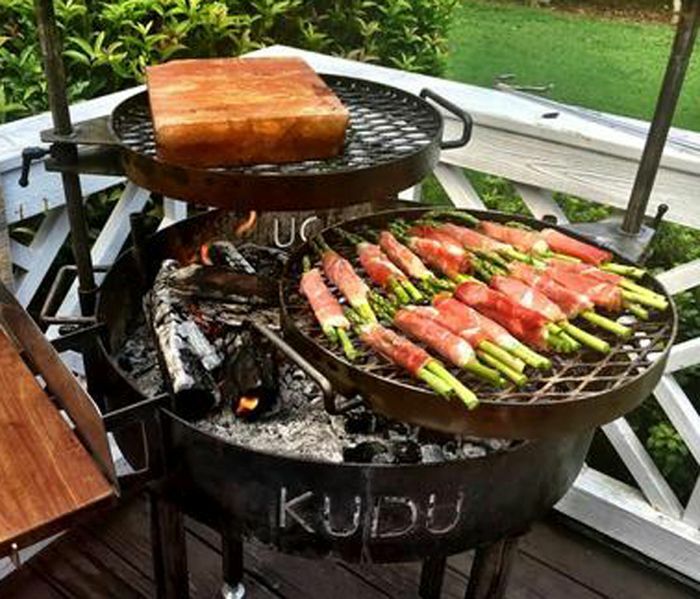 This grill is strangely named Kudu safari baraai grill because “braai” means to grill over a fire in South Africa. 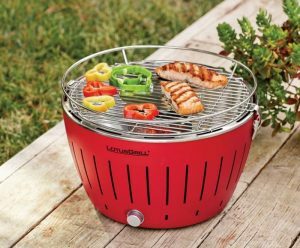 The highly versatile grill boasts two metal arms on either side of the fire to attach as many attachments as possible to prepare any type of food you want. 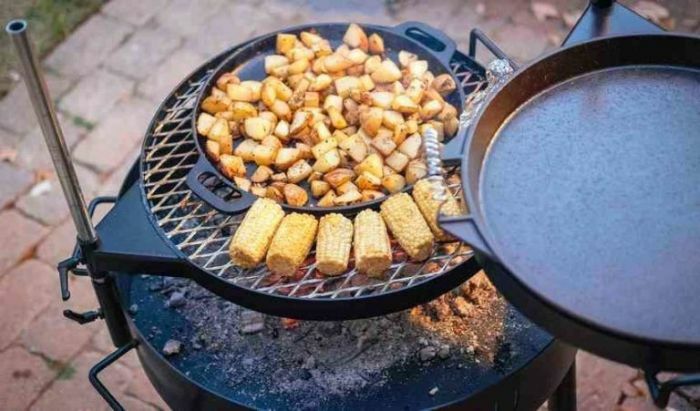 You can add or remove cast-iron skillet, rotisserie, and grill grate any time you want. You can even control the amount of heat when cooking with its attachments that can be moved vertically or horizontally to adjust the temperature. 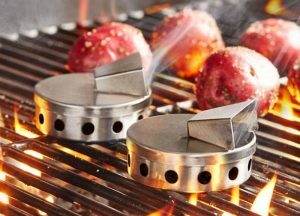 On these adjustable surfaces, you can toast buns while allowing cheese to melts over the burgers kept down below, or simply move one surface out from the heated area when to keep it warm without burning. It is indeed a flexible mini prep station and any outdoor adventurer would admire and need in their life. 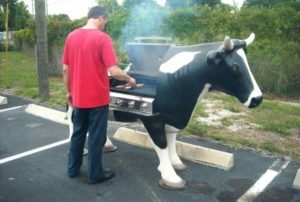 You can place it in the back of your truck in your parking lot anywhere you are traveling and enjoy preparing delicious meals on-the-go. You can even try making crisp paella while boiling water on it at the same time. Besides that, two pizzas can be prepared on its surface at the same time. on the vertical grill grates, you can prepare grated veggies, asparagus, etc. without losing anything due to the sprout of gravity. 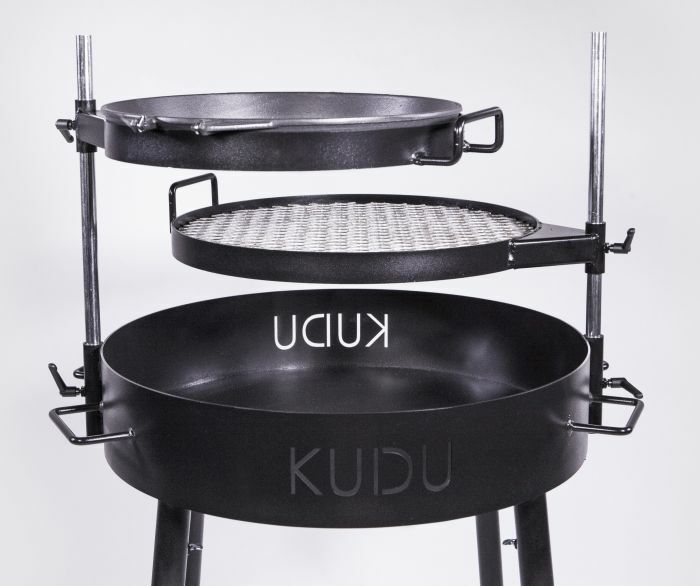 The Kudu is currently available on Amazon for $499.99 and it comes with an entire kit, which includes a griddle, grate, firepit base, and cooking tongs. You must consider buying this multi-leveled grill as it is just in time to rock the approaching summer season.